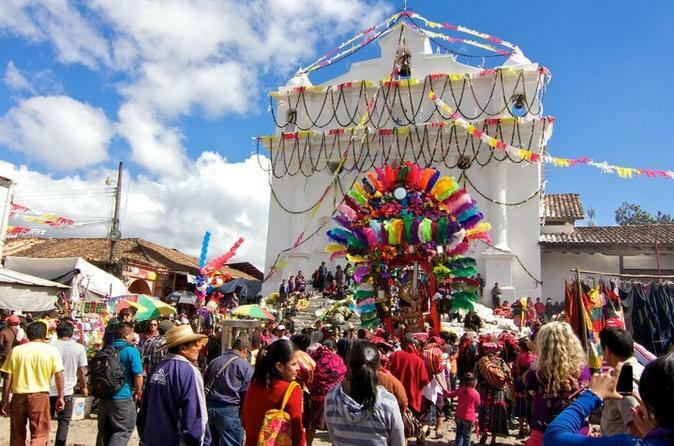 Chichicastenango is part of the main tourist routes of the country, since in this place you can admire the different traditions and cultural displays, the religious faith of the indigenous Quichés and their ceremonies in special places, where offerings and petitions are made invoking God, Jesus Christ, Saints of the Catholic Church, spirits of the ancestors. The Lake Atitlan is a beutiful place where the people live around of the lake, the Lake has 12 little villages and we will visit San Marcos La Laguna form Panajachel, where the visitor have the opportunity to jump over 8 metter and do Kayak for one hour (It is neccesary know to swim). In Antigua Guatemala we will visit the most interesting sites: Churches and other colonial buildings. Transfer to Guatemala City. Breakfast. At the given time transport to INTL La Aurora Airport to board your flight.